Gaius Caligula reigned for four short years from 37 to 41 CE before his infamous tenure came to a violent end. While much has been written about Caligula's notorious excesses and court life, relatively little of his military and foreign policy has been seriously studied. Gaius Caligula reigned for four short years from 37 to 41 CE before his infamous tenure came to a violent end. While much has been written about Caligula’s notorious excesses and court life, relatively little of his military and foreign policy has been seriously studied. This is a military history of Rome during Caligula’s reign. Caligula had been raised in a military camp (his nickname, Caligula, means ‘Little Boot’. His years as emperor came in the wake of the great consolidation of Tiberius’ gains in Germany and Pannonia, and in large part made possible the invasions of Gaul and Britain that were undertaken by his uncle and successor, Claudius. His expeditions in Gaul were part of a program of imitation of his storied predecessor, and crowning completion of what had been left undone in the relatively conservative military policy years of Augustus and Tiberius. 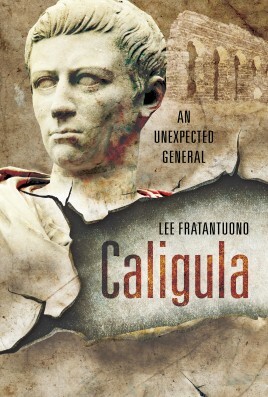 Caligula: An Unexpected General offers a new appraisal of Caligula as a surprisingly competent military strategist, arguing that his achievements helped to secure Roman military power in Europe for a generation. Dr Lee Frantantuono is a Professor of Classics at Ohio Wesleyan University. His other works include The Battle of Actium 31 BC (Pen & Sword Books, 2016) and the forthcoming Roman Conquests: Mesopotamia and Arabia (Pen & Sword Books, 2019).